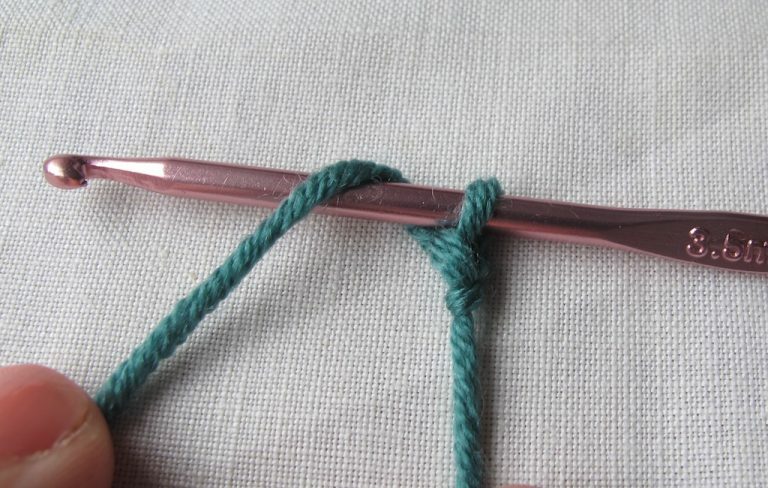 Here’s a video to show you how to work the chain stitch, or you can follow the photo how-to guide below. The chain stitch is the most staightforward stitch to learn. The abbreviation for a chain stitch in a pattern is usually ch. 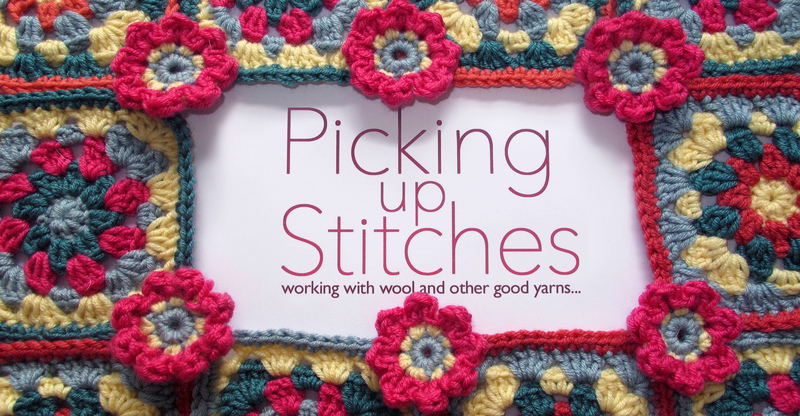 So ‘3ch’ means ‘make 3 chain stitches’. First make a slip knot. Now wrap the yarn from the ball of wool around the hook. You can do this by moving the hook away from you and under the yarn. 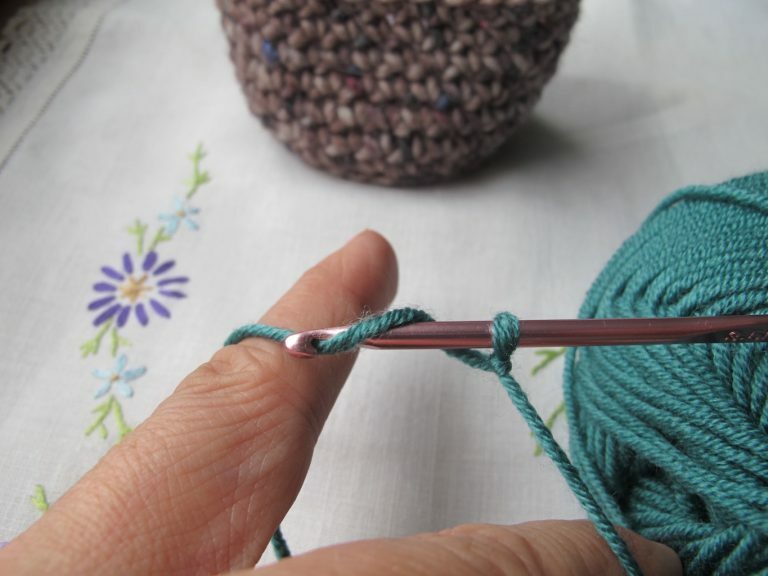 Then adjust the hook upwards slightly and draw back towards you, hooking the yarn. 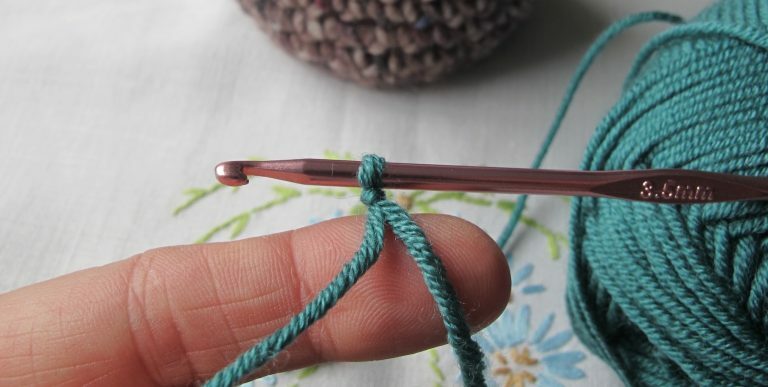 Now simply draw the hook and yarn through the slip knot. 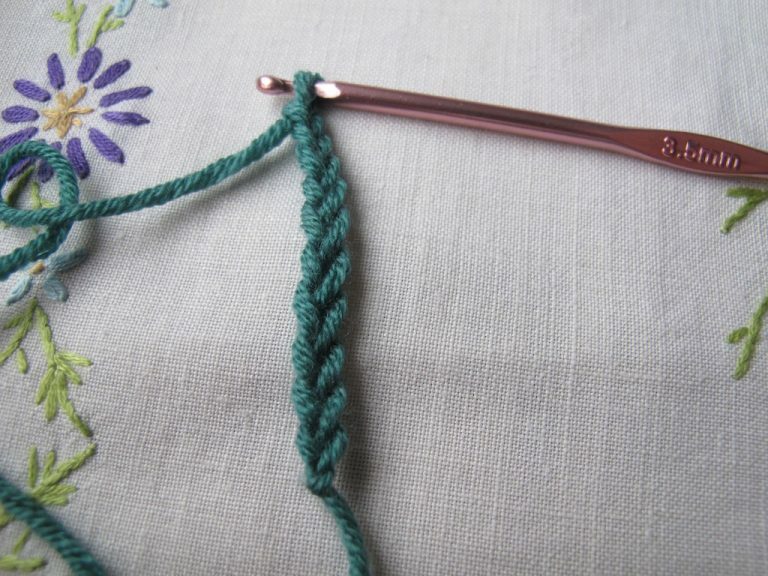 You have made your first chain stitch. 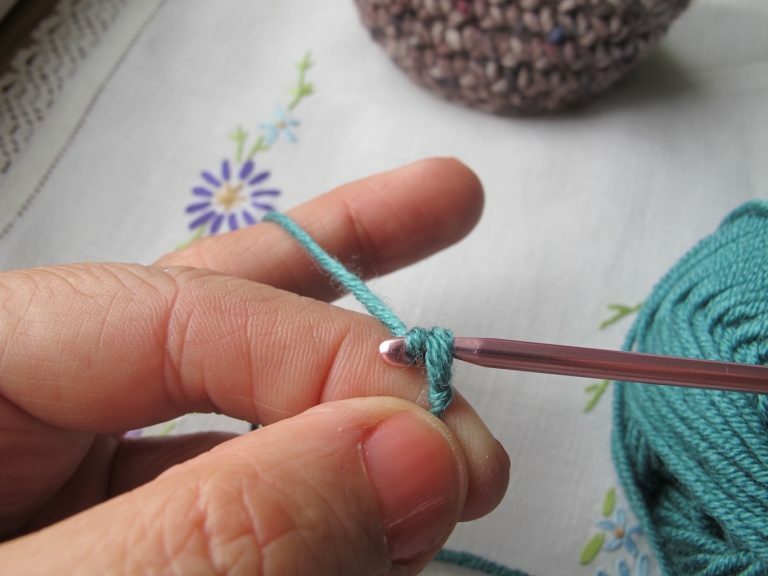 Repeat to make the required number of chain stitches specified in the pattern. Each stitch looks like a little V when the right side is facing you.